The Senate gave the final legislative approval needed Thursday to send a statue of Martha Hughes Cannon — the nation’s first female state senator — to the U.S. Capitol, replacing one of television inventor Philo T. Farnsworth. Senators voted 21-7 to concur with amendments made earlier by the House. SCR1 now goes to Gov. Gary Herbert for his consideration. In 1920, supporters of the women’s suffrage movement wore yellow roses to the Tennessee General Assembly on the day the body decided whether to ratify the 19th Amendment to give women the right to vote. “Be a good boy and good girl and vote yes on this resolution,” Edwards urged colleagues Wednesday afternoon, some of whom wore yellow roses. 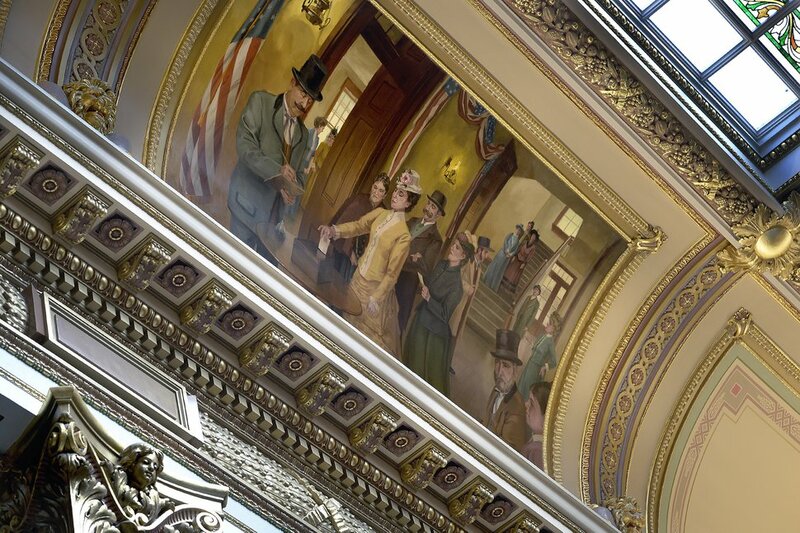 Scott Sommerdorf | The Salt Lake Tribune A mural in the Utah House of Representatives by artist David Koch, shows Seraph Young casting a ballot in 1870. . SCR001, a resolution sponsored by Rep. Rebecca P. Edwards, R-North Salt Lake, passed with just three no votes on House floor, Wednesday, February, 14, 2018. Edwards was referring to a proposal that would send a statue of Martha Hughes Cannon — a polygamist, suffragette and doctor who was the first woman state senator in Utah and the country — to represent the state in Washington, D.C.
Scott Sommerdorf | The Salt Lake Tribune Rep. Rebecca P. Edwards, R-North Salt Lake, points up to a mural in the House depicting Martha Hughes Cannon voting in 1896, as she speaks about her bill on the House floor, Wednesday, February, 14, 2018. Edwards' bill, SCR001, passed with just three no votes. The resolution cleared its last hurdle in the Utah House 67-3, and will now move back to the Senate for final approval. Two statues of historic significance represent each state in D.C.’s National Statuary Hall collection. Utah’s other monument is of Mormon pioneer leader Brigham Young. Some opponents to the statue switch want to see Farnsworth, who was born in Beaver, Utah, and attended Brigham Young University, keep his place in D.C. Farnsworth’s statue has been on display in the Capitol for 30 years, thanks in part to the lobbying efforts of a group of elementary-school children. But Rep. Carol Spackman Moss, D-Holladay, noted Farnsworth will be remembered either way ― and Cannon may not be. Already, several cities — including one in Idaho — are vying to host the inventor’s statue if the resolution passes. 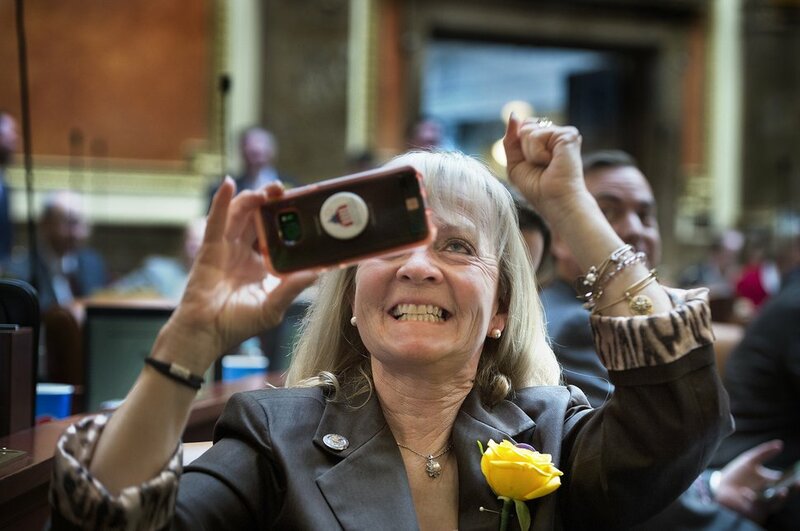 Scott Sommerdorf | The Salt Lake Tribune Rep. Christine F Watkins, R-Price, gleefully cheers and takes a photo of the vote totals for Rep. Rebecca Edwards resolution, SCR001 as it passed on the House floor, Wednesday, February, 14, 2018. The resolution proposes replacing a statue of Philo T. Farnsworth in the US Capitol with one of Martha Hughes Cannon. Earlier in the day, the Senate unanimously passed SB119, which would create special license plates honoring women’s suffrage. Utah women were first in the nation to vote. (Trent Nelson | The Salt Lake Tribune) James R. Avati's statue of Philo T. Farnsworth, known as the "Father of Television," Friday February 9, 2018. If passed, proponents have pointed out that Cannon’s statue could be placed in the Capitol in 2020, on the 100th anniversary of the 19th Amendment as a way to shine a spotlight on that piece of Utah’s history. Martha Hughes Cannon — a polygamist wife, suffragette and doctor who was the first woman state senator in Utah and the country — is one step closer to representing Utah in Washington, D.C.’s National Statuary Hall, where two statues of historic significance represent each state. The House Economic Development and Workforce Services Committee voted 6-4 Monday to move forward a resolution that would replace TV inventor Philo T. Farnsworth’s statue with Cannon’s. Salt Lake County Recorder Adam Gardiner, a former legislator who originally sponsored SCR1, said it’s an important way to tell Utah’s story on the national stage. Proponents of the resolution, now sponsored by Rep. Todd Weiler, R-Woods Cross, have praised Cannon’s contributions to the women’s suffrage movement. They’ve also noted that her statue could be placed in the Capitol on the 100th anniversary of the 19th Amendment in 2020. 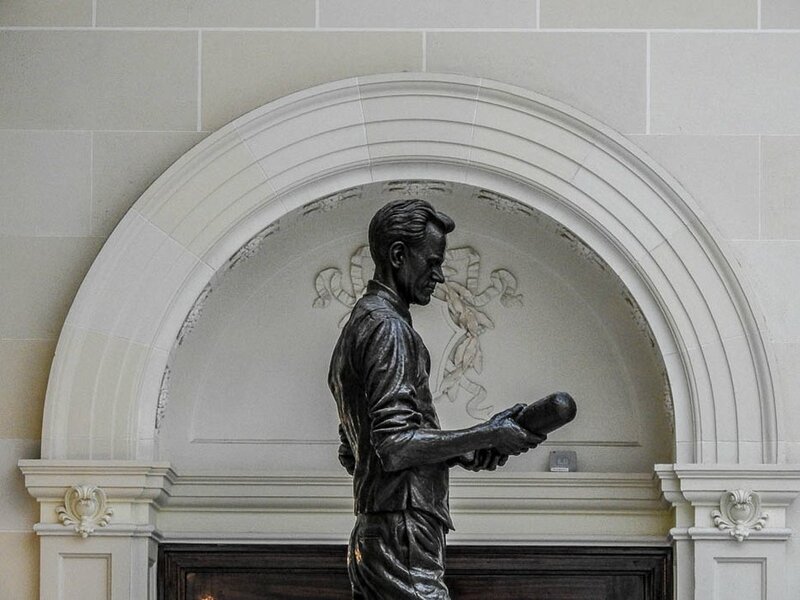 But opponents have argued that Farnsworth, who was born in Beaver, Utah, and attended Brigham Young University, should keep his place in D.C. (though several cities are already vying to host his statue if the resolution passes). Farnsworth has been on display in the Capitol since 1990, thanks in part to a group of elementary-school children. 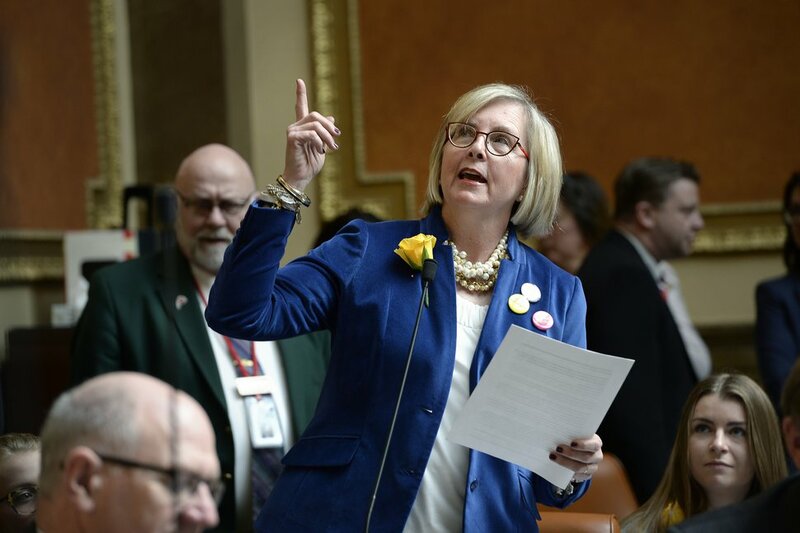 During debate on the issue, Rep. Cheryl Acton, R-West Jordan, praised Farnsworth as an example of “Utah ingenuity.” Rep. LaVar Christensen, R-Draper, also noted Farnsworth’s contributions to the world and said the resolution should not be seen as a “litmus test” for support of women’s rights. Acton also raised concerns about having two polygamists representing the state. But modern plural-marriage groups have spoken out in support of the resolution, arguing Cannon’s life shows that a woman in such a marriage could be strong and independent. Cannon would join Mormon pioneer leader Brigham Young’s statue in Statuary Hall. Natalie Tonks, a senior at Lone Peak High School, also spoke about the importance of honoring the past as she spoke before the committee. Five citizens also spoke against the resolution. The collection of state statues in the U.S. Capitol includes only nine other women: Helen Keller, the first deaf-blind person to earn a college degree, from Alabama; Mother Joseph, a humanitarian missionary from Washington; Esther Hobart Morris, a Wyoming suffragette; Jeannette Rankin, Montana, the first woman member of Congress; Florence Sabin, a public health pioneer from Colorado; Sacagawea, North Dakota, a guide for Lewis and Clark expedition; Maria Sanford, a Minnesota educator; Frances Willard, Illinois, a temperance movement activist; and Sarah Winnemucca, Nevada, who helped save her Piute tribe. The resolution was returned to the House Rules Committee before moving to the full House for consideration. The drive to place a Utah statue in the U.S. Capitol to honor Martha Hughes Cannon — the nation’s first woman senator — ran into major static Monday from a powerful fan of TV inventor Philo T. Farnsworth, whose statue Cannon’s would replace. That fan happens to be powerful House Rules Committee Chairman Mike Noel, R-Kanab. He blocked a request Monday to assign SCR1 to a committee for a hearing. So the resolution calling for the statue replacement remains bottled up in the Rules Committee for now. Noel, however, said he figures it will come out eventually — but says he wants to buy some time for other Philo fans to make their case. Farnsworth invented not only the television, Noel notes, but contributed to the development of the baby incubator, radar, infrared night vision device and the electron microscope. Supporters of Cannon are pushing for her because she fought forwomen’s suffrage — and her statue could be placed in the Capitol on the100th anniversary of the 19th Amendment in 2020.She was the nation’s first female state senator, a doctor, and aDemocrat who defeated her polygamist Republican husband. Over the weekend, members of modern polygamist groups talked about how they are cheering for Cannon — whose life showed that a polygamist wife could be strong and independent. Noel was the sponsor of a bill last year aimed at keeping polygamy a felony in Utah and earned the enmity of that community for comparing it to organized crime. The Senate passed SCR1 last week on a 21-7 votewhile Cannon supporters wore yellow roses. As a sign that it wouldlikely also pass the House easily, most House leaders also sportedyellow roses that day. Noel was not one of them. “I have nothing against Martha Hughes Cannon. I really don’t. I love Philo. He’s one of my heroes,” Noel said, and hopes to preserve his statue as one of two that Utah may place in the Capitol. Utah’s other statue is of Mormon pioneer Brigham Young. The collection of state statues in the U.S. Capitol include nine other women, and three other inventors. The women in the collection are: Helen Keller, first deaf-blind person to earn a college degree, from Alabama; Mother Joseph, a humanitarian missionary from Washington; Esther Hobart Morris, a Wyoming suffragette; Jeannette Rankin, Montana, first woman member of Congress; Florence Sabin, public health pioneer from Colorado; Sakakawea, North Dakota, guide for Lewis and Clark expedition; Maria Sanford, Minnesota educator; Frances Willard, Illinois, temperance movement activist; and Sarah Winnemucca, Nevada, who helped save her Piute tribe. The inventors are: John Gorrie, father of refrigeration and air conditioning from Florida; Thomas Edison, Ohio, inventor of the electric light, movies and phonograph; and Robert Fulton, inventor of the steam engine from Pennsylvania. Correction: A previous version of this story published on Feb. 14 mischaracterized an amendment to the resolution.